For the past several years, we have been hosting here in Slovenia, in collaboration with OneStage Agency from Britain, some interesting young vocal-instrumental ensembles, composed of students, aged between 12 and 20, who in addition to their regular schooling at the primary, secondary and higher schools devote themselves with much love and dedication to various genres of music. This time, we cordially invite you to the Bled Festival Hall to join as at yet another in the series of quality summer concerts of English choral music, jazz standards and classical string quartets, performed by young musicians – the Chamber Choir, Jazz Band and String Ensemble from the Leys School Cambridge (Great Britain). As already mentioned above, we will be able to see on the stage of the Bled Festival Hall, appearing as part of Bled Festival and their summer tour around Slovenia, three music ensembles from the Leys School Cambridge – the Chamber Choir, Jazz Band and String Ensemble, led by their experienced Director of Music Max Kenworthy. 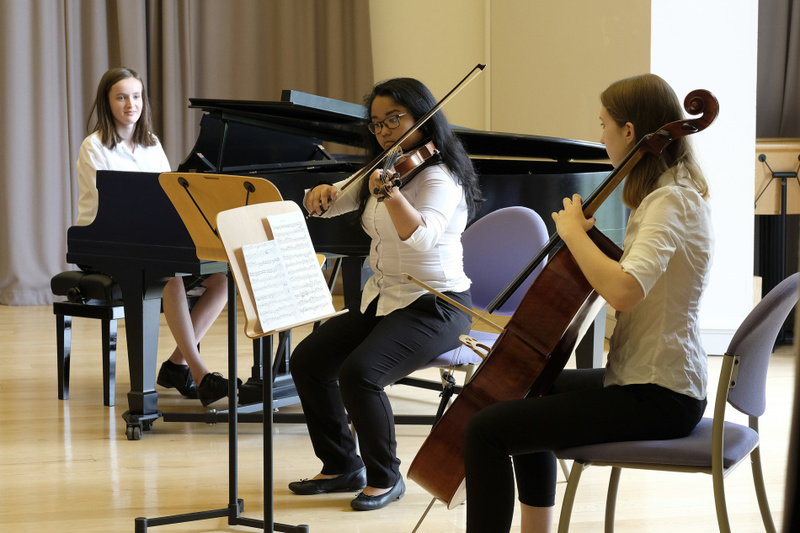 The tour group comprises musicians from across the age range at The Leys, many of whom are music scholars. 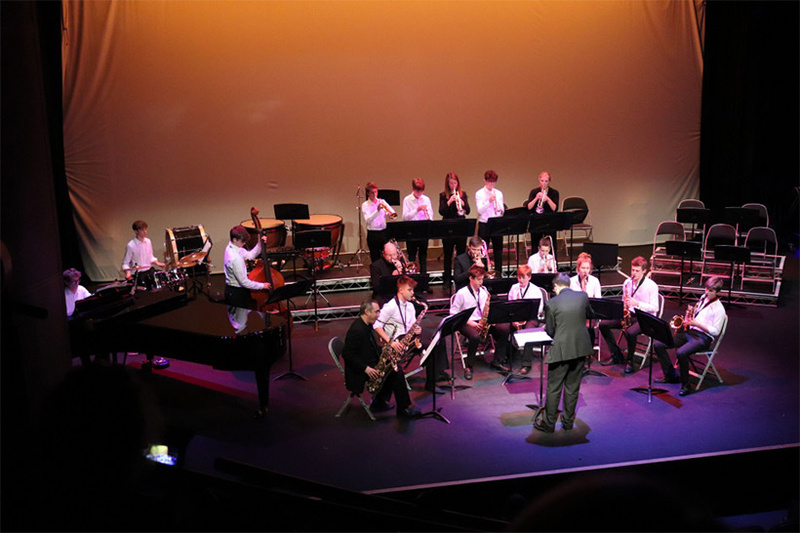 Every ensemble rehearses weekly and performs regularly both within school and around the city of Cambridge. 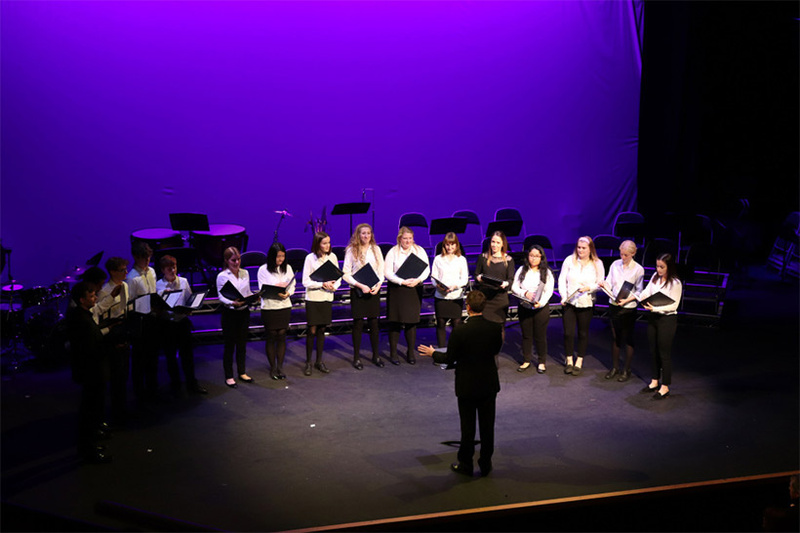 They will play a range of music across the history of Western music, including some English choral music, jazz standards and classical string quartets. A native of Yorkshire, Max Kenworthy, is Director of Music at The Leys School, Cambridge, a position he has held since September 2016. Prior to this he was Assistant Director of Music and College Organist at Ardingly College in West Sussex for six years. As a freelance musician, he has performed recitals all over the world and has undertaken recordings, broadcasts and tours in organ, piano, singing and conducting. Max began his musical career as a chorister under Christopher Dearnley and John Scott at St. Paul’s Cathedral in London. He started learning the organ at Bradford Grammar School before a year as Organ Scholar at Rochester Cathedral. Max then won an organ scholarship to Brasenose College, Oxford, reading for a degree in music. Max has held a number of church and cathedral positions, including Hampstead Parish Church, London; Wellington Cathedral of St. Paul in New Zealand where he was Assistant Director of Music for five years; and more recently Director of Music at All Saints Church, Hove and St. Wilfrid’s Church, Haywards Heath. He has performed with a wide variety of ensembles and has dabbled in music journalism, broadcasting and jazz. He has given solo organ recitals at numerous venues including St. Paul’s Cathedral and Westminster Cathedral in London. When time permits, he also plays with Nicholas Grigsby as the organ duo ‘Four Hands / Four Feet’. They have toured extensively and their last collaboration took them to New York City and the Bermuda Festival in February 2014. Max has recorded several CDs, and has worked with numerous ensembles and choral groups in the UK. His organ teachers have included Roger Sayer, David Goode, Jeremy Filsell and Colin Walsh. Max is married to Laura and has two young children. He is a Fellow of the Royal College of Organists.